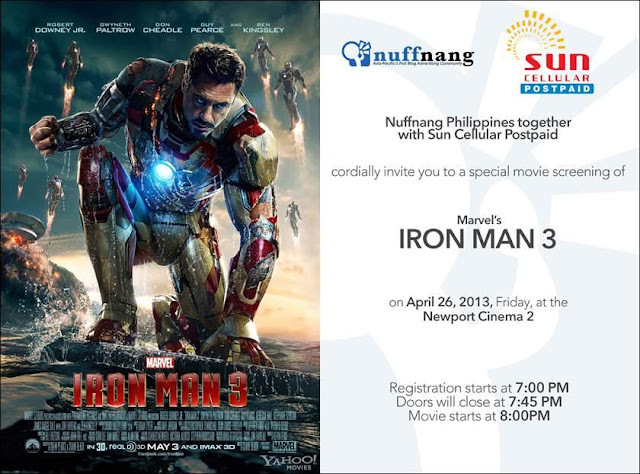 i was so excited when nuffnang announced a contest to win 2 tickets for a special screening of Iron man 3 this friday at Newport Cinema, Resorts World! nakakatawa pa cos i was in the middle of debugging some shiz at work when i received the email. stressed na ko non kasi mega delayed na ung project na yon, tas biglang ung contest pala ay for first 80 bloggers lang! lalo akong nastress! 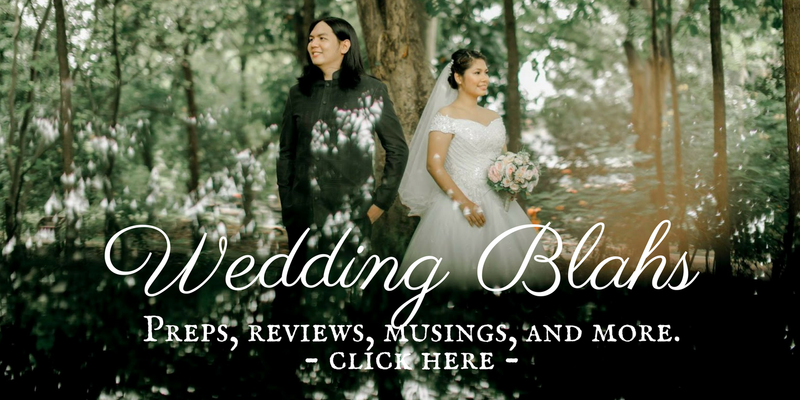 i was connected to the internet naman pero with restrictions (in short, blogger is blocked!) so uhm, in short... just to make sure that i get into the first 80, i disconnected from work... FOR AWHILE. 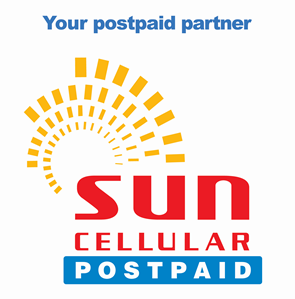 it wasn't so hard for me to boast about sun cell postpaid naman cos i'm a subscriber as well! anyway, to make (the first part of) the long story short, i won! 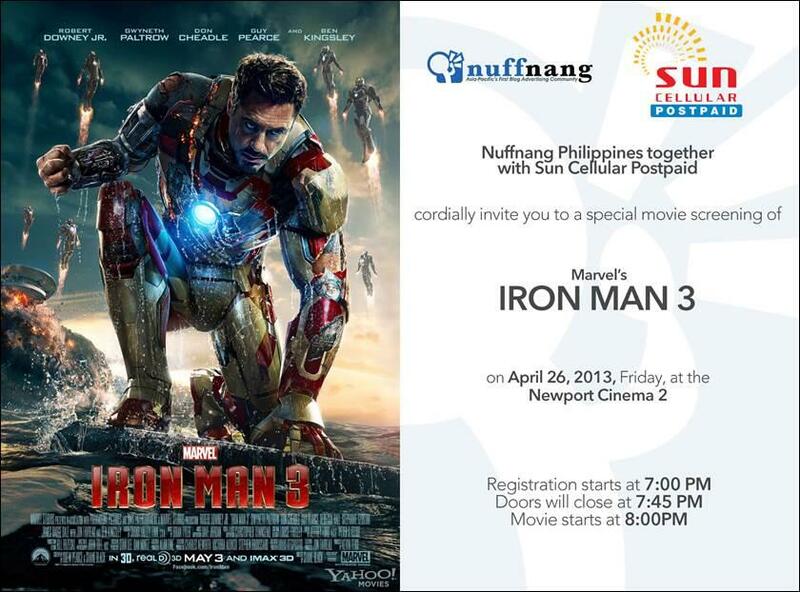 unfortunately, jeckie can't make it to iron man 3 with me that night. so in such a short notice, i called my sister to meet me at our office in makati so we could both ride Resort World's FREE SHUTTLE!!! hahaha mega research talaga ko ng ways to commute to Resorts World, eventually i found na they have free shuttles naman pala at various points in the metro! it was very late na, mga 6:30pm and we're planning to catch the 6:45 shuttle at Paseo Center. kaso when we got there, PUNO NA!!! oh my. registration closes at 7:45 and all the taxis are full. take note that it's also a friday night haha. sa kakalakad namin pabalik kung san most probably may vacant taxi pa, umabot kami sa McDonald's Valero where there's another RW shuttle scheduled to leave at 7:15. when i got there, di pa full! so lucky! but when i asked the driver, may priority seating pala! members first policy. huhu and since we're not members, we were asked to wait until 5 mins before departure at kung may vacant pa, gorabels kami. and by God, 5 minutes before leaving, may vacant pa nga!!! KASO ISA LANG!!! oh no. BUTI NA LANG the last group of passengers have 2 kids with them so naki-usap na lang ako (with the driver's permission shempre) if they could kandong kahit isang kid lang so we could all fit. buti na lang the member was really kind sabi nya, "okay lang basta makasakay kami lahat". so go! i told the driver na pumayag na yung isang family so finally, he let us sign dun sa log sheet. but that's not the end of the story pa, pasakay na kami ng van when suddenly 3 more members came, all wanting to get a ride of course. and what's worse is they have VOUCHERS (apparently more powerful than a membership card) pa! also, meron pala silang isang kasama na nasa loob na, just waiting for them. at dahil dyan, iron man 3! 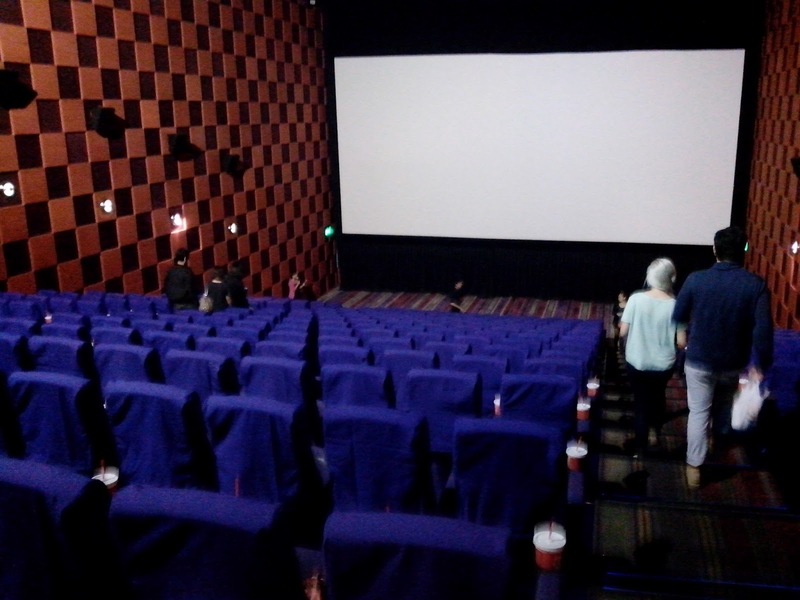 cinema 2! popcorn and drinks all set for everyone! after the show i was like, "so, how do we get home?" haha i checked online for the shuttle schedule bound to McDo Q.Ave, and found that it's leaving by 11pm and next ride is at 12mn. eh kakalabas lang namin ng 11. so we took the chance to register as RW members para libre na sa shuttle haha. free registration naman sila aaaand agad agad mabibigay ung ID as long as you presented a valid gov't ID (i didn't so temp ID lang sakin) so, we waited until 12mn for the shuttle! kahit na matagal, libre naman! >XD i also learned from one of the drivers there that the VOUCHER is given to those who played at the casino. kaya naman pala high priority sa shuttle hehe. so in order of priority: voucher, member, non-member (chance passenger). i've been a loyal postpaid subscriber of Sun Cellular for more than a year now, and i might say that their services have been particularly helpful in ensuring that me and my loved one (read: jeckie! <3) are always connected. and because being with Sun Cellular has saved me a looot of money through their very cheap call/text promos, i encouraged the whole family to come with the sun too haha. and now, all four of us are always in the loop, all thanks to sun! 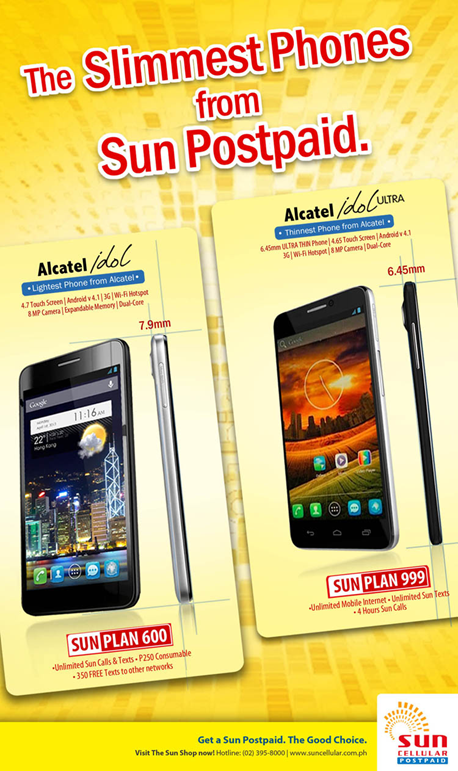 true enough, Sun Cellular has made communication a very accessible feat by making it very affordable to all. this time around, i couldn't get more excited to announce that Sun Cell is offering two exciting postpaid plans featuring Alcatel's thinnest and slimmest phones yet! if you ask me personally, the plan 600 is already more than enough for me. although i'd say the 350 free texts to other networks will probably come short, that's what you have the 250 consumable for. you can register it to other prepaid promos as you wish so you can maximize your extra-net transactions. for a phone this big and beautiful, the plan 999 is just perfect. if you really want to maximize the use of this phone, i'd say you go unli data! and that's just what this plan offers. you might be shocked that it lacks so much on the call/text feats but i say that unli mobile doesn't usually come in cheap. and to be able to get it at 999 only? that's a pretty steal! after all, in this generation, being connected is almost synonymous to being online all the time! tip? you can actually use your mobile internet on your laptops/PC! just hook it via USB tethering, or go wireless by making your phone into a wifi hotspot (alcatel one touch ultra has that feature). So what are you waiting for? Get hold of these plans and experience postpaid like never before! so i just heard of this conspiracy, thanks to my boss, about the US's economy centering majorly and secretly on manufacturing weapons. tough business right? seems like something only a tony stark can handle. and just how is an ammo business profitable when there's no war? it's not! so for it to sell out, there's a need to create an environment were weapons are a necessity. war. it's a hype that will never go out of season, because there's a country to make sure their weapons industry remain steady. and just like that, our world will be on a never ending war, thanks to those who profit from it. i was so close to believing that this is all about the US wanting to conquer the middle east to get everything they need to rule the world. i was so close to believing that the middle east is actually the victim of all this terrorist attacks because the US planted them for their nation to take the blame. so they could have all the reasons to aim nukes and ship soldiers to die and hunt for some osama bin laden as a front, then kill sadam hussein behind the scenes. i was so close to believing how it seemed so plausible that it's the US responsible for creating conflict around the world, so they would have a means to sell their weapons and wreak havoc, all while appearing to be the hero who stands beside the poor countries when they're being bullied. they would lend their soldiers, loan their weapons, then take your land out of a debt they know you can't pay. i all looked so real to me. except that it's just a game, ever heard of Metal Gear? i'm sorry, that's all! i want everything to be comfortable between us. i still want to be friends! i don't want to shut anyone off with my earphones anymore (except on a really good OST), simply because i couldn't bear the air of isolation. i don't want to be in. i just want to get rid of this insecurity. i don't want to feel useless and a burden and a total waste of investment. i won't fight. i'll be nice. i'll quit being sarcastic and uhm, i'll be a good friend! i know we're both good people and it won't be hard to come to terms. yeah, specially when only one has to. after all, YOU DON'T KNOW (or not). this is how i cater to my paranoia. i feed it! a pretty casual question but coming from someone i admire so much i guess it kinda rattled me. oo nga naman, bakit ako nagpapastress dito (work)? why can't i work happily? you see, i have an unfinished task that was due yesterday but i wasn't able to finish it because i couldn't get some bastarded blocks of code to work, that or i didn't know the right code to use (most probably). it was depressing, you know, not being able to beat a deadline. not being able to deliver. being judged indirectly for your lack of skills. although i admit it's more of paranoia, the latter part, i can't help but be reassured everyday of my shortcomings. i just have to look to my side. literally. i just can't go on knowing that at this point, i haven't learned enough to say i deserve my job. maybe i just need a change of environment. or a change of seats. not again? haha kidding. on other news, i'm getting irritated having to answer people's questions about the yearbook distribution. oh you have all the right to take me wrongly cos here i'm gonna admit that i was really ticked off by SOME. in case you're sensitive, i made it all caps. most of the time i try to be polite, but uhm. yeah. these days, a lot of things get to me easily. my patience has turned volatile due to climate change. but i'm not blaming the weather either, let's just say i wanna quit being nice all the time. no, kidding. haha i'm generally a nice person *chokes*. and i try my best not to judge people by their questions. i too have my own shortcomings of course. work. uhm, i was supposed to be productive last friday but i kinda got caught up chatting with my boss. HAHA he probably thinks i'm not working na since it's past office hours, but honestly boss... that's actually the time my brain is starting to just fire up. huhu >XD no really. 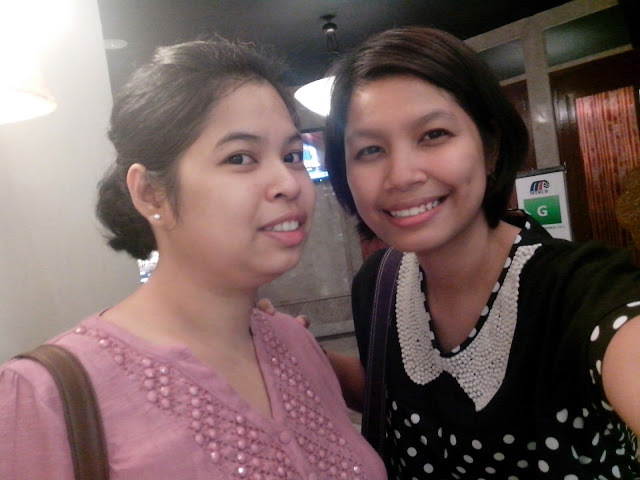 i spent yesterday lunch with kdv, my school mate during highschool na office mate ko na ngayon. 160php for non-makati residents. 30mins-1hr travel time from Ayala ave. via 2 jeepneys. it's the nearest to our office! but lechong kawali, for members, and guests of members lang pala (and also if you're enrolled in their swimming classes). 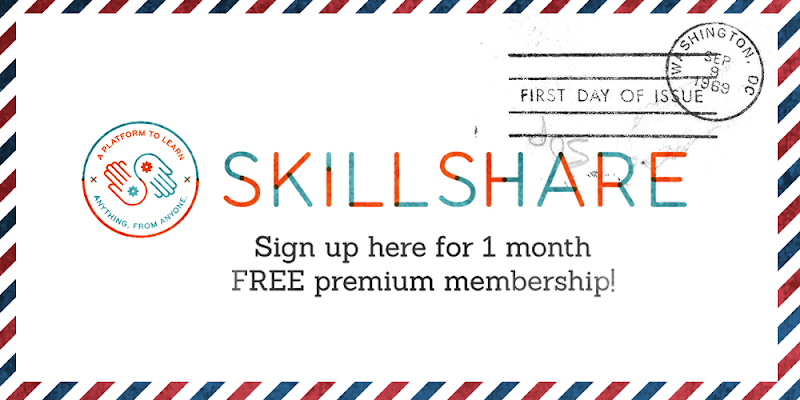 to become a member, there are many ways. one is to pay a lifetime mem fee of 300k. and pay 1,500 monthly dues. grabe diba? pag member ka na, you can use the pool for 30 pesos only. HAHAHA natawa na lang ako. at naiyak rin. annual membership is 80,000+ pesos, they also have semi-annual, and quarterly modes.the good thing here is that their gym is 24hrs on and their pool is open until 10pm. 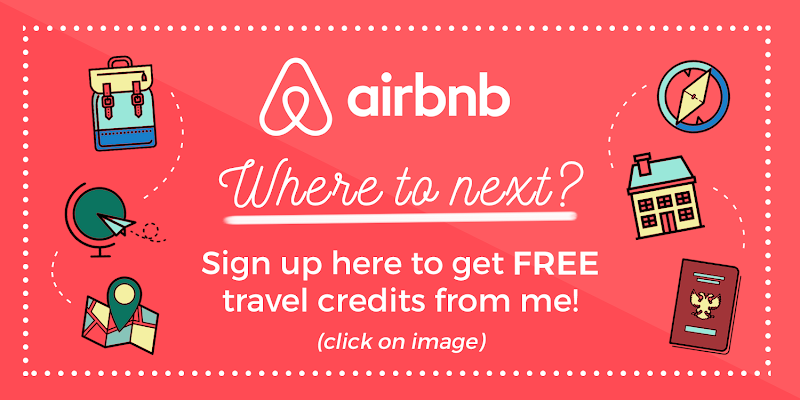 free and unlimited access to all of those plus their wet area (sauna, jacuzzi, showers.. the usual) and tennis court. they also have 20% discount on other amenities of the hotel. and 1hr free PT session at the gym. oo tumawag ako bat ba. they have a lap pool! this is located at Fairview malapit samin so i thought okay, kung wala akong makita sa Makati, weekends na lang huhu. kaso super lapit nga, and mahal naman ng pamasahe. dalawang tryke + isang jeep. hay buhay. okay, diet details below the cut, feel free to leave! it's time to get into business, seriously. a lot of management majors opt to take masteral courses after they earned their undergraduate degrees. but the road to become a true master is hard. let's talk about the GMAT or the Graduate Management Admission Test. it's a standard application procedure that aids a handful of institutions in their student selection process. have i mentioned it's hard? my sister is taking her masteral in business administration right now and she would always remember her GMAT exam as crazy and totally brain damaging. i'm not really sure why, it's just a couple of math, logic, grammar and time management questions right? not to mention the time management part was actually a practical test. hahaha but NO. one must not underestimate the power of GMAT, or any admission test for that matter.